The Afton Trail Run is one of the most challenging and beautiful trail races anywhere. The race was established in 1994 and is now one of the oldest, largest and most competitive trail races in the country and routinely draws runners from all 50 states and beyond. The race takes place entirely within the borders of Afton State Park. The race(s) consist of a hilly 25K loop (two loops for the 50K), winding through the state park’s trail system. The race is held 100% off road, primarily on very runnable / not very technical single and double track trail. There are 7 long climbs per loop, rising from the river valley and down again with a good mix of rolling and flat terrain between the hills. 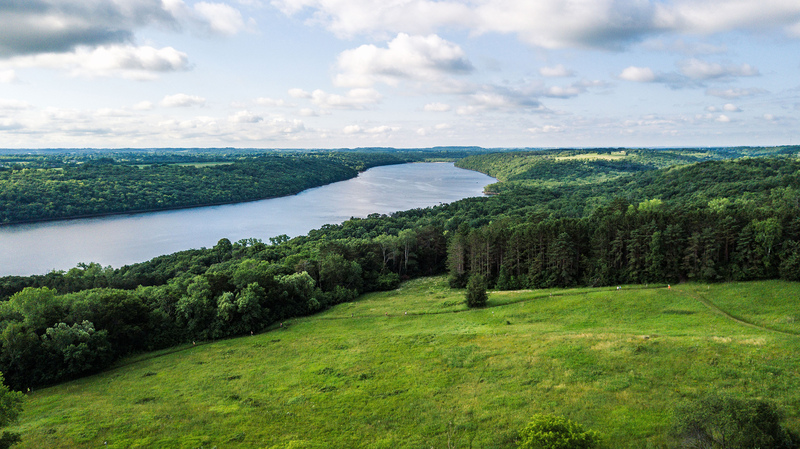 Afton State Park lies on a glacial moraine, scribed with deep ravines running down to the St. Croix River. The 169 mile St. Croix River was one of the original eight United States rivers to have significant portions placed under protection by the National Wild and Scenic Rivers Act of 1968. Within the park sandstone outcrops have been exposed in some of the ravines. The vertical drop from the blufftop to the water is 300 feet. A few patches of remnant prairie survived the decades of farming that took place on the blufftop. Today the former fields are being restored to prairie and oak savanna. The ravines leading down to the riverbank are thickly wooded with oak, aspen, birch, and cherry. The Afton Trail Run makes significant annual donations to the state park, nearing $60,000.00 as of 2018 and its organizers, volunteers and runners contribute 100’s of volunteer hours to the park annually, maintaining trail and doing invasive species removal / restoration. The Afton Trail Run is organized by Rocksteady Running and directed by John Storkamp. The Afton Trail Run would not be possible without its dedicated army of year-to-year volunteers.